“The resolution of the European Parliament to recognize Juan Guaydo as the legitimate president of Venezuela is a monstrous violation of the norms of international law and interference in the affairs of a sovereign state. The decision was made naturally because of the notorious Euro-Atlantic solidarity, which causes even greater regret. The head of Venezuela can be elected only by its people and in general elections. Neither the US president, nor the State Department, nor the European Parliament can impose on the Venezuelans another leader even by recognizing the self-proclaimed Guaydo. Even in ancient times, in Russia, such false leaders were called in one word – an impostor, and everything like that – a rebellion. 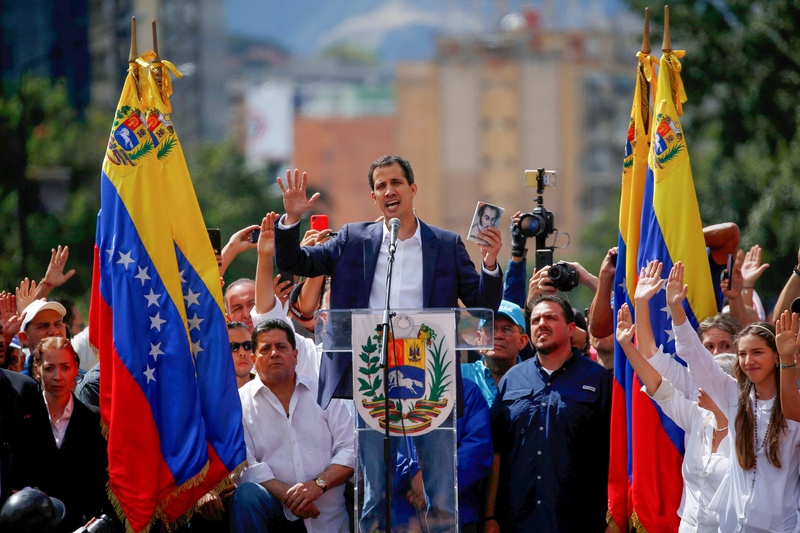 The West acts in its paradigm, trying, through the support of the so-called opposition, to organize a coup d’état in Venezuela and bring a politician under the control of Washington to power in Caracas. It is brazen and cynical. And we remember very well the consequences of such a policy on the example of the former Yugoslavia, Iraq, Libya, Syria and Ukraine. Some countries are no longer on the world map, in others the economy is destroyed, and foreign companies manage the oil complex, and somewhere there is still a war with a common evil – international terrorism.